Grand Bahama Island lies only 55 miles off the coast of South Florida. Grand Bahama has always been well known for its famous resorts, glittering casinos and the City of Freeport. What most people don't realize about Grand Bahama Island is that it offers a rare combination of popular tourist activities plus all the ecological wonders of pristine beaches, national parks, fishing villages, reefs, enchanting marine life and more. As one of the Caribbean's most popular destinations, Grand Bahama has developed into a major tourist destination featuring new and exciting resorts, an all-inclusive resort and charming European style resorts. With a multitude of adventure and activities combined with the choice of resorts, Grand Bahama is one destination that has something for everyone. The island is 96 miles long and 17 miles across at its widest point. However from Freeport or Lucaya, you'll find you're within a few minutes drive of most points of interest. I for one have travelled to this island countless times and have had nothing but a blast every time! This is a place I recommend everyone visit at least once. There are 2 ways to get there, by plane or by Boat. The Discovery Cruise Line offers a round trip passage aboard their ship for about $300.00 for 2 guest. All the meals and entertainment are included aboard the cruise ship. On the ship you can enjoy high action casinos, a movie theater, live entertainment, games, swimming pools, Jacuzzi, sundecks; there’s plenty to enjoy on the ship. The cruise takes about 6 – 7 hours to get all the way out to Grand Bahama Island, and it’s a nice cruise ship; it’s a 1200 passenger ship and it has 8 decks. One you arrive in the Grand Bahama Island Freeport you will see it is home to miles of pristine white Bahamian beaches and clear aqua waters of the Bahamas. 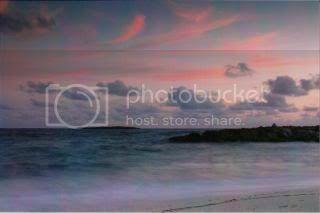 And, you can visit a large variety of beaches that you will rarely find anywhere on earth except in the Bahamas. If you enjoy the water, Freeport, Grand Bahama offers a full array of water sport activities such as windsurfing, sailing, jet skiing and parasailing. Nature lovers and eco-tourists have a choice of kayaking, horseback riding, snorkeling or swimming with dolphins. You can also explore the surface below with Unexso Bahamas and Freeport Xanadu Undersea Adventures, which can arrange shark, shipwreck and night dives, as well as diving certification lessons, or special Dive-in-a-Day lessons. 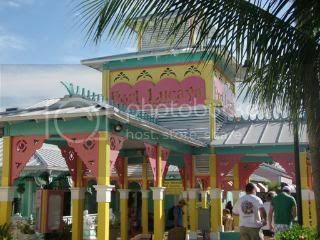 Freeport is also home to the world famous Rum Runners Bar. Right in Count Basin Square in the heart of Grand Bahama Island you will find this bar which serves a Pina Colada in a fresh coconut that will leave you wanting more. They serve up the local beer "Kalik" in mass numbers all day and into the night until the Limbo Guru and fire breathing woman take you into the evening. The limbo guru is especially the eye catcher. He places a stick on top of two Kalik beer bottles sets it on fire and limbos under it! Its truly amazing, this guy has to be made of human rubber because its amazing how he can bend is body. I took this picture to prove it! Not only does the Grand Bahama Island offer a wide variety of entertainment is offers some of the worlds most amazing natural beauty! I took this picture one night while me and my wife were watching the sunset. It was very romantic and a breath taking experience! Stay tuned for More! Would You Consider Going for $79.00? I am here to share knowledge with whomever needs it!